COMPANIES THAT BRING WELLNESS INTO THE WORKPLACE EXPERIENCE HEALTH PLAN SAVINGS, REDUCED LOST WORK DAYS, IMPROVED EMPLOYEE RETENTION AND HIGHER MORALE. We bring together an expert team of our employees and other associates to customize the perfect event for your group at your location. 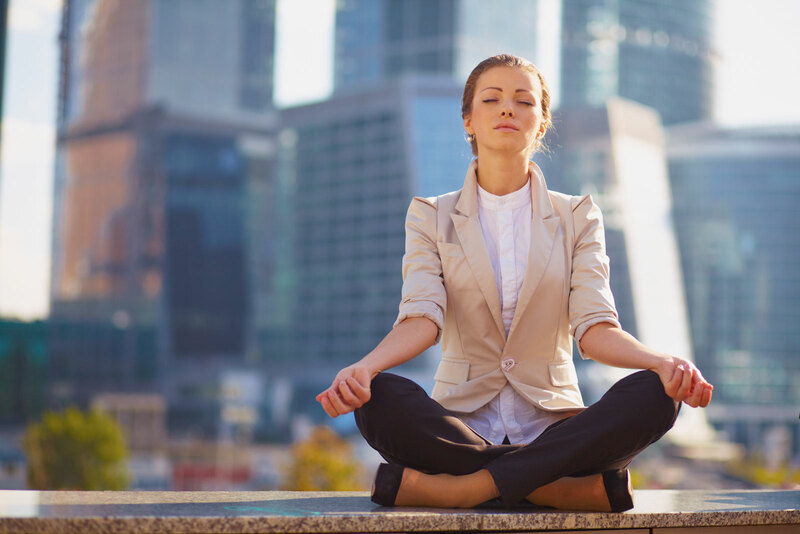 Our programs are meant to align with your company’s unique goals to instill a corporate culture of health, that helps to improve your employees’ physical, spiritual and mental wellness. We use the best team of wellness practitioners and corporate trainers, implementing evidence-based programs, to customize a program for you. Any successful wellness program will be able to positively influence all levels of the organization. A culture of health has to be one that is embraced by top executives as well as infused into the fabric of every employee’s experience. Because every organization’s goals vary, we encourage you to work with us to customize the perfect program for your group. LEADERSHIP COACHING: One-on-one sessions with leaders, focusing on identifying the specific factors that block them from obtaining their own individual sense of balance, wellness and fulfillment, and discussing courses of action for overcoming them. Wellness Defined – what does feeling well and balanced look like, and pillars to establish it in your life. Nutrition 101 – what is “healthy eating”, and how it can affect how you feel throughout your workday. Fitness Concepts – what are healthy and realistic goals, and how to fit exercise into an already busy day. Stress Management – how to identify anxiety triggers, techniques for remaining calm and deliberately choosing our reactions. Biometrics (60-90 mins) – blood pressure and body composition measurements, guidelines and how to improve yours. Tai Chi (30 mins) – follow an introduction to this calming, peaceful and meditative martial art. Contact us to discuss what your wellness program goals are, which modules you feel your organization would benefit the most from, and we will customize a program to fit your needs. We can create a program that is appropriate for your company size, your scheduling availability and your budget. We offer single day or multi-day programming, that can be either one-time or recurring events. For the most profound impact and the most successful wellness program, we recommend incorporating a long-term wellness strategy, which involves quarterly or bi-monthly events, which allows your employees and your leaders the ability to go deeper into each of these wellness concepts over time. QUESTIONS ABOUT WHAT WE CAN OFFER YOUR TEAM?